What makes for an exceptional positive organizational intervention? 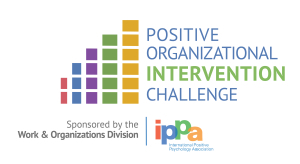 The Positive Organizational Intervention Challenge (POIC) gives students, practitioners, and researchers an opportunity to innovate positive psychology interventions for the workplace. Over the next few months, challenge participants will develop an intervention based on established research findings. Three finalists will present their interventions at the 6th World Congress on Positive Psychology in Melbourne, Australia. 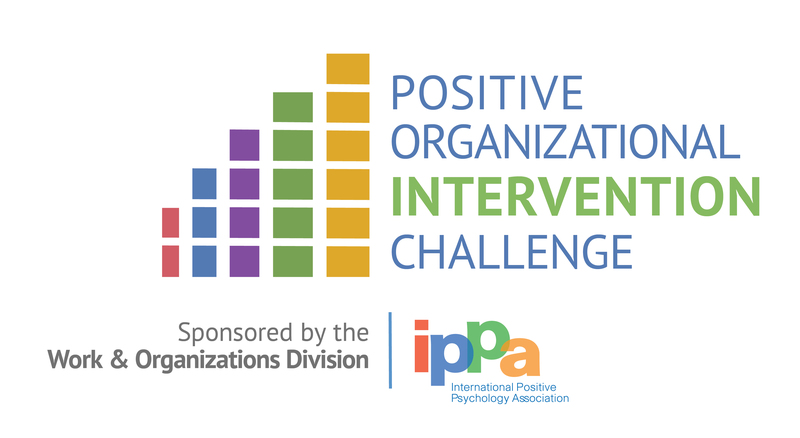 Submissions for the Challenge are invited from all IPPA Work & Organizations Division members. Individuals or small teams of up to three (3) people are invited to submit a POIC proposal. Submit your proposal as a reply to the Discussion entry at the top of the Work & Organization Division’s Engage landing page. Please read the following guidelines carefully. Submission not meeting these guidelines will not be considered. The POIC is not a venue for getting feedback on interventions that have or will have (by the WCPP) undergone commercial field applications or compensated trials. Submissions will be evaluated by Work & Organizations Division members and advisors based on the following criteria. Call for Positive Approach: how does a positive approach add value that traditional approaches do not? Breadth of Issue: how wide-ranging is the presenting problem? Importance, Impact and Outcomes: What outcomes are at stake for the organization? Theory: What theory or theories offer the initial indication that a positive approach will add unique value? Research Findings: What evidence from research findings indicates that the intervention will have a significant effect? Creativity: Does the proposed intervention apply positive psychology in a novel way? … over a specified time frame? Where flexibility in the intervention along any of the above criteria is called for, the range of possible design choices is appropriate. Such ranges and a discussion of how a specific design element is determined should be included in the proposal. For more information or to submit your proposal, log into IPPA’s member community and visit this page. To join or renew your membership, visit this page. Watch the Semi-Finalists’ Videos and Weigh In!